Today, Standards New Zealand released their report and recommendations into the new Standard for meth testing. Miles Stratford, CEO of MethSolutions was involved in the Standard development and now gives his expert view on the outcome. The new Standard is a great step in the right direction, but further work is required in order to increase the level of standardisation within the meth testing and decontamination industries. If the level of methamphetamine in any one high use area exceeds 1.5μg/100cm2, professional decontamination is required in those areas before the property can be tenanted. Discussions began over 24 months ago about a revised Standard. With the support of Local Government NZ and Standards NZ we’re delighted that just 12 months later, it is published. These discussions were started by people working in the meth clean-up industry who created a working group that developed the Standard. While for many the Standard has taken too long to arrive, a non-contentious Standard normally takes 18 to 24 months. Bruce Taylor of Standards NZ advised when the process commenced that sometimes they fail to reach a conclusion. Happily that has not happened in this case. The broad base of input to developing the new meth testing Standard included: real estate, property managers, property investors, councils, government departments/entities, accreditation bodies and representatives from decontamination and testing agencies. This has delivered a standard that MethSolutions believes is a big step in the right direction when it comes to increasing quality and consistency around the provision of methamphetamine testing and decontamination services. However, a new Standard is not a magic bullet and still has the potential to be a double-edged sword. For example, the new Standard mentions the need for training. But at this time none of the training required by the Standard actually exists. Creating training programmes will take time and not all organisations are like MethSolutions who ensure all our sampler staff complete detailed training before they can become a Certified Sampler. In addition, the inherent variability of meth contamination within a property and the way different materials react to the presence of meth means that results from different testing companies may still vary. The new Standard gives a clear context within which variances can be interpreted and considered. 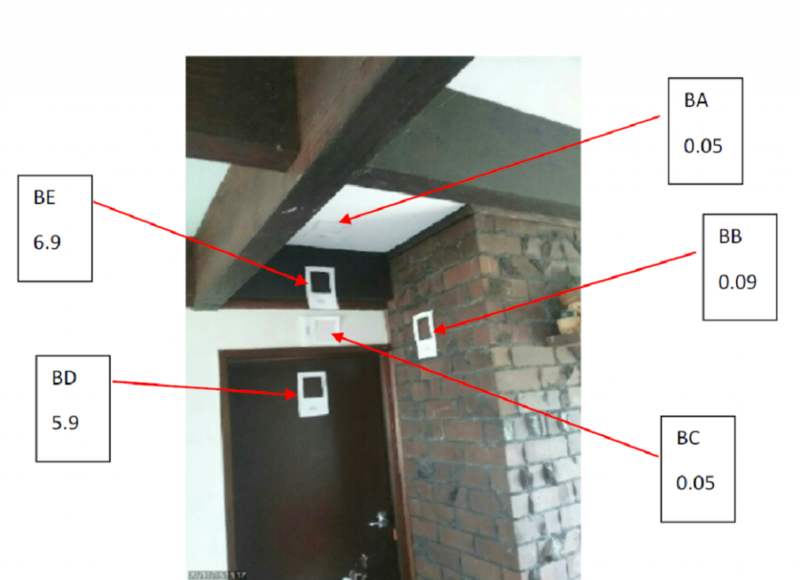 The photo below shows 5 samples tested in a property in close proximity. The different surfaces (wood, brick, gib board) produce very different test results. Remember, compliance to the Standard is voluntary. Becoming standard-compliant will add significant cost to business operations. Not all companies will be able to afford to do this. Some will choose to still offer a service that may not be compliant. The Standard also allows an increase in the numbers in respect of “acceptable levels” of meth. The levels are well within the range suggested as appropriate by some scientists courted by the media. Standards New Zealand acknowledge the fundamental uncertainty that is associated with the effects of meth contamination. More real world research, rather than desk-top opinions, is required. How will this affect rental properties? This increase in acceptable meth levels, will defer the economic impact associated with contamination arising from illegal activity. It will be possible to rent out property in New Zealand with more than 3 times the limits required under Australian Guidelines, without doing any cleaning. For landlords, the level of contamination will need to be much higher before they can legally exit a tenant on the grounds of health and safety. Some will see this as a good thing when it comes to the human rights of a tenant. We hear commentators saying things like “A bit of meth contamination where it is use alone isn’t really a health risk, is it?” However, if they are the ones producing the contamination, then the risk of things becoming much worse is real. The flip side of this coin, is that the tenant who does become unwell and believes it is associated with the meth contamination they are living with will not be able to terminate their tenancy, unless those residues exceed the levels identified in the Standard. The Standard is a positive and significant step forward. However, the organisations who helped develop the Standard need to continue to work to improve both the quality and certainty the NZ public deserve when dealing with meth contamination. All of this work needs to take place in an environment where we all stop accepting methamphetamine as an “inevitable reality” in our communities.